In classical times there was a successful business in menhirs……. In classical times there was a successful business in menhirs. 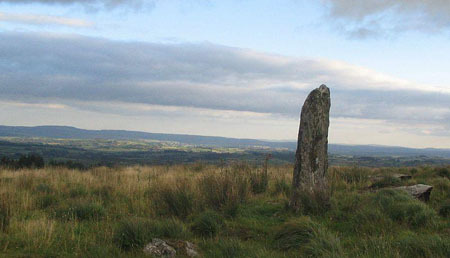 Menhirs are stone pillars that date from Stone Age times and are believed to have been used by druids for human sacrifice, used as territorial markers or elements of a complex ideological system, or functioned as early calendars … in other words the experts do not have a clue what they were used for ! 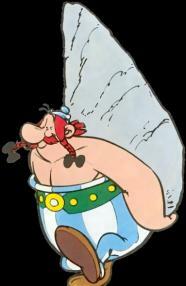 The best- known menhir entrepreneur is probably Obelix who both sculpted, delivered and presumably sold, menhirs in France during the Roman occupation. Obelix was the side kick of Asterix, a hero of the French resistance to the Romans, as created in the cartoon series “Asterix the Gaul” and numerous other adventures. The decline of the druids led to the usual attempts to keep a declining menhir business afloat, captive producers spun out their operations on a unsuspecting public. Companies consolidated in an attempt to keep their mines at full production. Menhir foundries were started where you could get your own custom design fabricated at lower cost, often overseas where the work was supported by the local governments. Eventually, these businesses all foundered due to a lack of demand. As we all know the nano world is opening up all sorts of new opportunities and it appears that menhirs may undergo a revival. At the 2011 Electron, Ion and Photon beam Conference, a group in Switzerland disclosed a new application in “Nanomenhirs for Surface-based Biosensing of Lipid Structures”. The team led by Erik Reimhult at Swiss Federal Institute of Technology has fabricated high aspect ratio, pointed pillars. The pyramids act as discrete sensing points. The change reflectivity from the surface is affected by the location of the lipid structure on the pyramid wall. Because the pyramid is located in a well, the sensor detects the size of the lipid. In previous blogs, I have talked about the use of patterned surfaces of metals that allow very sensitive detection of molecules attached to surfaces. There are many different surface structures that have been tried, including photonic crystal arrays, prisms, regular textures, nano- spheres anchored to a surface. The whole idea is to create a surface plasmon with very intense fields that interact with molecular layers attached to the surface giving unprecedented levels of detection sensitivity without modifying the target molecule with a tag. The nanomenhirs add the ability to detect the size of the target as well as chemical composition. So if they can get an extension to the copy-write on key IP, descendants of Obelix may yet be able to cash in on the latest in nanotechnology.